Every once in a while, a movie studio comes along and makes a decision regarding an upcoming project that is beyond dimwitted. Just ask director Paul Schrader, the latest witness to this trend, whose new opus will probably never be seen in major release thanks to the brains behind Morgan Creek Productions. Why, you ask? Because as we speak, all existing cuts of his endeavor are sitting on a shelf somewhere collecting dust while a completely new version of his movie is being shot. And get this: this new version uses different actors, an entirely different script and is being overseen by a completely new director, too. If this all sounds like the plot of some kind of anti-Hollywood satire, then no wonder—it is perhaps the first time in major cinema history a studio has gone to such extreme lengths to undo someone's effort because the end result didn't match what they had hoped for. The film in question is the fourth installment into the "Exorcist" franchise—a prequel, to be specific, known simply as "Exorcist: The Beginning." A project that has literally been in the planning stages since the late 1990s, Schrader was selected to helm the script in late 2002 after its first director, John Frankenheimer, died before being able to step behind the camera. Even before then, it was a bumpy road getting the idea of another film in the series off the ground—with countless script revisions and various additions and subtractions to both the cast and crew (Liam Neeson at one point was even tapped to participate), the project seemed destined to failure. But Schrader is not a man accustomed to such a fate (this is, after all, the same man who wrote "Raging Bull" and directed "American Gigolo"), and for well over a year he worked long and hard on shooting the film for the studio, who screened it last summer after he and his crew finished cutting the existing footage together. It didn't take long before Morgan Creek made its dissatisfaction with the picture known. In a recent article that appeared on TheJournalNews.com, Schrader shared the details behind the recent decision and his subsequent reaction to their rejection of his cut (reportedly, however, the production company has instituted some kind of contractual gag order that prevents him from discussing several specific things about the conflict). Being widely known for his unhindered dedication to the art-house niche of modern cinema, he admits that he only initially agreed to do the film because the script dealt with more psychological aspects of terror rather than the standard blood and gore expected of such a genre piece (his first assistant director, Aaron Barsky, described it as the kind of film that wouldn't scare viewers initially but would haunt them for days afterward). "The decision had been made before they hired me not to do hard-core horror, with the spinning heads and the pea soup," he said. "The story was more of a historical adventure." Alas his superiors were apparently on different wavelengths; when they screened his final cut last August, they ordered him to reedit the feature to make it "scarier" (loose studio translation: "fill it with lots of bloody and grotesque visuals"). But Schrader never shot the footage they were expecting because it wasn't in the original script. The result? Both he and his editor were removed from the project, and the demand for re-shoots was instituted. Eventually, however, Morgan Creek abandoned the idea of modifying Paul's work and decided to redo the film entirely, discarding everything he had shot before. Unprecedented? Perhaps. Wise? Not likely. Such a decision might have at least seemed like a good idea had the original film been surrounded by unfavorable buzz, but Schrader's first cut actually got very positive marks from the select few individuals who actually got to see it. One such person is Janet Maslin, former film critic of the New York Times, who told The Journal News that the film was "beautifully shot" and found that "Paul takes the battle between good and evil very seriously." She also makes the point that anyone who could read Schrader's resume clearly would have never hired him to make a film that is excessive in the blood and gore department to begin with. In other words, did Morgan Creek actually expect a director with a passion for internal and spiritual exploration to simply provide them a product with traditional exterior horror trappings? The new version of the fourth "Exorcist" film is now being shot in Italy, with director Renny Harlin (of "Cliffhanger" and "Deep Blue Sea" fame) taking charge of it. Such a factor suggests not just artistic differences between the studio and Mr. Schrader, but also severe disconnect; because both directors so clearly sit a different ends of the cinematic spectrum, it is obvious that the communication between both sides of this working relationship was never substantial enough to align any sort of goal or intention (it's almost as if Morgan Creek was tossing around money hoping that everyone involved would be grateful enough to do a product specifically targeted to please them). 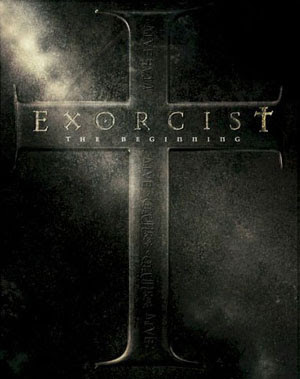 The irony of this conflict is that it's not the first time that both the studio and the director have clashed over a film in this series—both previous "Exorcist" sequels, in fact, were taken back into the editing room after the directors had finished them and were hastily reworked before their theatrical releases. The big difference, of course, is that audiences got to see some form of the original incarnations of both those films in the end; this time, they will be seeing what is in essence a complete remake of the prequel, a film that exists not because the first cut is necessarily bad, but because the studio wanted something more commercially accessible than what they got. Whether Mr. Harlin is up to the challenge of executing the kind of horror film Morgan Creek is hoping for is an irrelevant issue; at this stage of the game, a finished product is sitting in a vault waiting to be seen and the studio's apparent and unwarranted abandonment of it seems like a slap in the face to the very artistic merit that made Schrader the man he is today. The fact that two entirely different movies were in mind during the production phase is now an element of the past, and a factor that would have no doubt already been overlooked by most other studios that just shelled out a whopping $40 million to get the picture made (how can anyone hope to profit from this project now that they are already so far in the hole?). Besides, the idea of taking a stagnant series like "The Exorcist" into new territory is perhaps more promising than resorting to the formula. Shouldn't it now be up to the moviegoers to decide if the finished cut has merit? And what guarantee does anyone have that a new version could perform better or receive superior reaction than the movie that has already been completed? 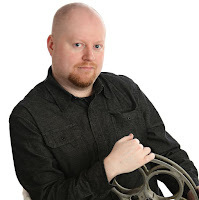 Poor Paul says that he hopes his film might one day be released on DVD (if nothing more than to serve as an alternate interpretation of Harlin's upcoming version), but you can't expect a studio so willing to erase years of work and planning to make any more rational decisions about it. There's demons at work in this mess, and not all of them are on screen.